A aid worker with experience of working with refugees in camps in France has dismissed what he calls a “perception all migrants want to come to Britain” as “rhetoric” being promoted by the media. 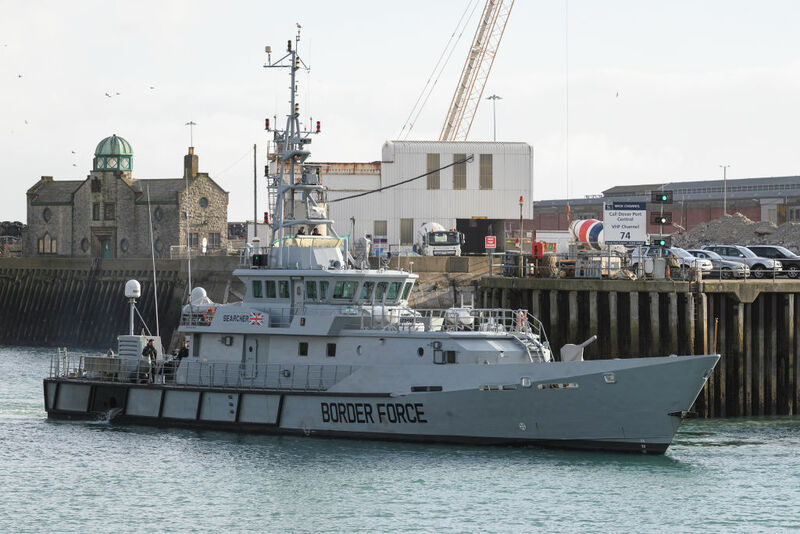 Rob Lawrie joined Mike Graham on the talkRADIO breakfast show following home secretary Sajid Javid’s comments on Wednesday about recent arrivals of migrants into the UK. Six Iranian men were found on a beach in Kent on December 30, following an attempted crossing by 40 migrants on Christmas Day, and a further 12 Syrian and Iranian men landing on UK shores on December 30. On Thursday morning, it was announced that two men, an Iranian and a British man, had been arrested on suspicion of arranging “illegal movement of migrants”. Mr Lawrie said that, compared to other EU countries like Germany, the number of refugees taken in by the UK was comparatively small. “As much as we’d like to welcome as many people as we can to Britain and offer a home and a house and all sorts of educational opportunities to as many people as we can, we can’t take everybody - other countries also have a responsibility, don’t they?” asked Graham. “Germany has taken over a million,” Mr Lawrie replied. The German government said it took in over 1 million refugees in 2015, but those numbers have fallen since. According to data from Eurostat, 325,370 people were granted asylum or protection in Germany in 2017, compared to 15,645 in the UK. He added that attitudes to immigration in the UK were “completely divided”, and blamed social media and controversial figures for influencing opinion. “We have people like [Katie] Hopkins and Yaxley [Stephen Yaxley-Lennon, aka Tommy Robinson] spewing their bile from their warm front rooms and this bile actually becomes reality in some people’s minds through social media,” he said. Mr Lawrie said that the people arranging the travel of migrants across the English Channel were a wide-reaching crime network. “I did an interview with a 14-year-old girl who was there [in a camp] with her 15-year-old brother,” he said. “So you think the gang masters are running these boats?” asked Graham. “The people running these boats are a network of highly organised crime, from the Middle East to the UK. Don’t be fooled into thinking this is a gang of smugglers who are putting people in boats in France, this is a network. It’s a multi-million pound industry,” Mr Lawrie said.